Stuck for meal ideas for your next hike? Can’t decide what to eat for lunch or dinner while you are hiking? 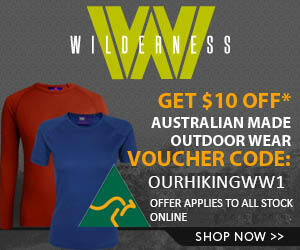 What is the best and lightest food to take on a bushwalking trip? How can we make sure food lasts on a multi-day hike? 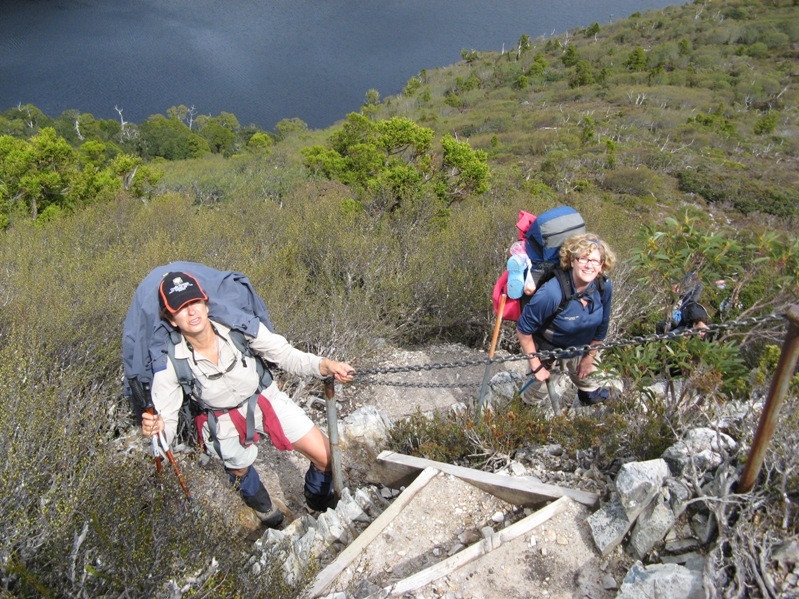 Lauren emailed us asking for suggestions about organising food for a group of six who are undertaking the Overland Track in Tasmania next February. In our previous post we discussed some simple planning ideas and posted our basic menu for breakfast and snacks for hiking. We take dry biscuits and mountain bread, although our daughter likes to take taco type wraps. Up to you but , again, work out BEFORE you leave how many biscuits or wraps you will eat for lunch and only take that many. Share out the mountain bread and try and use it up fairly quickly, after you open it, as it drys out and becomes crumbly really quickly. We try and take fresh ingredients for lunch. We also take film canisters packed with coleslaw or mayonnaise, peanut butter, chilli sauce and vegemite. In winter I always take one soup for each day which I sometimes have for lunch or on arrival at camp. Sue would take four. In summer I would still take 2 or 3 because we have had snow there in December and hot soup is a great energy boost. Depending on the number of days and the expected weather we would take 2 or 3 “fresh” meals. On our last trip in July we took 3 as we were confident the temperature would be OK for fresh meat to keep. In February I suggest 2 fresh meats would be prudent (although I have listed 3 here). We always get our meat vacuum packed. This stops getting the rest of your food or gear contaminated with blood and should increase its unrefrigerated life. MOST of the time we freeze the meat for a few days before we leave and take it to Tasmania frozen (wrapped in newspaper in the middle of our packs) We can usually find a freezer at our hotel or hostel where we can keep it frozen until the last minute. Recently we found out about a good butcher in Launceston and got our meat vac-packed there the day before. I will list a sample menu of what we might eat for dinner over 6 nights. Obviously there are many variations and other ideas that work. Our food is pretty simple so we can cook it quickly. My desire is for bulk i.e. I want to be filled up, Sue is keener on nice tasting stuff! Day 1 – Good hamburgers or vegy burgers – Some of the coleslaw,dressing and chilli sauce – Fresh bread rolls (pretty light and won’t get trashed in pack that quickly, or they can just be secured on the outside of your pack for the first day) Simple fare for the first night, especially after that first grunt up Marions Lookout with a full pack! Day 3 – Sausages and onions – Devilled sausages sauce (or any alternative you may like…we use it the gravy to make the Deb tasty!!) – Dehydrated potato (Deb) – Peas and corn (dehydrated) I know the Deb potatoes and peas and corn are a recurring theme here but we can put up with them and they are easy to prepare. You could substitute couscous, pasta or quick cook rice for the “potato”. Day 4 – Smoked Chicken breast (sold in vac packs or individually) – One of the quick cook pasta or rice meals , something creamy is best We cook up the meal and then add diced smoked chicken breast. Usually plenty with one breast per person, maybe 2 large ones for 3 people. Day 5 – Tuna Casserole – One packet of “Alfredo” per person (single serve) – One satchel of tuna per person – 1-3 hard boiled eggs – Peas and corn ( keeps some left overs from other meals) Cook Alfredo as per instructions (we don’t worry about adding margarine) either adding peas and corn at the start or cook them separately. Add tuna and eggs at the end and warm through. Yum. Day 6 Spaghetti Bolognaise or Chilli Con Carn or a Chicken Mince based Casserole This is where a food dryer is excellent. I won’t go into too many details about dehydrating meals here, all the details are in our guide Food to Go. The key to creating any meal for rehydrating is to use small pieces of ingredients. Years ago I dried 1cm cubes of chicken breast and they would probably STILL be rehydrating into now…they were TOUGH. Since then we have used minced chicken breast and it has been much more successful. The other key thing is that fat does not dry, so lean meat and correct preparation is important. To rehydrate, as soon as we have arrived at camp, recovered and had a coffee, we use some of the water we have boiled to cover the meal in the cooking pot. Wack the lid on, stir it every now and then and add more water (hot or cold) as your dried meal rehydrates. Full rehydration can be speeded up if you put the meal on a low heat and keep a close eye on it, stirring frequently. We like to use hot water, cover and then chill out until dinner time. All good hiking books and articles suggest taking a spare meal in case you are caught by bad weather. A small packet of macaroni noodles or other quick cook meal would not go astray. We have never needed one on the Overland Track because if we have been held up we just make a big effort on another day and skip a hut. We freely admit this is a pretty boring list of meals, but we have been very happy with them for several years. It is almost a “no brainer” shopping and preparation wise. Our daughter, Clare, who is an experienced walker, has written a piece on how she plans and prepares her meals. She is a vegetarian so her perspective and ideas may suit many other walkers. A great second part, and interesting that you carry meat. The current trend in the UK that is starting to hit from the US is the use of a pot cosy for cooking. I think as you mentioned the Freezer Bag Cooking site also promote it (even pioneered the idea). Can’t quite get my head around the pot cosy idea but we certainly dry food frequently. It works a treat. The recipies in Freezer bag Cooking are great. Any chance of promoting the butcher in Launceston that cryo-vac’s the meat for you. Can’t remember the name of the butcher in Launceston. We asked at our accommodation and they gave us a couple of suggestions. We had a car on that trip so it was easier to get around. I study Outdoor education and do heaps of hikes, and do food in a totally different way. Might give dad some notes and he can stick them on here. Can’t get enough of this site guys, well done. As for meal planning I have some different idea’s which basicly revolves around the CSIRO diet. My main aim is to ensure I’m getting some protein with the carbs which is easy to over look when packing light. Lucky the vegetarians have figured it out for us a long time ago. My favourite dinner at the moment is red lentals w/pumpkin cupasoup, chilli flakes and a little cous cous. Dried vege’s as you see fit. Thanks for the great ideas. We like your red lentil meal idea, lightweight, easy to prepare and looks tasty. We often eat out of the CSIRO cook book at home. Thanks for all the info on your site- very helpful. I’m plannning to walk the Overland Track in Dec with my daughter. On your dinner menu you suggest smoked chicken on Day 4. Do you freeze the smoked chicken before you go, or does it keep ok in its vacuum pack? Can you give me the address of thebutcher in Launceston? We got this in Coles in Launceston (there are at least 2 of them). They usually seem to have them. I am really sorry, can’t remember the name of the butcher in Launceston. I assume this is for fresh meat vac packing? I think we looked up the yellow pages and rang a couple to see who had the facility. Let me know if you need any more info and have a great trip! Never too late, thanks for dropping by. We love the Prom, great walk except for those pesky possums, everywhere! Well done on the stove and lightweight food. Flad you enjoyed checking out the food.